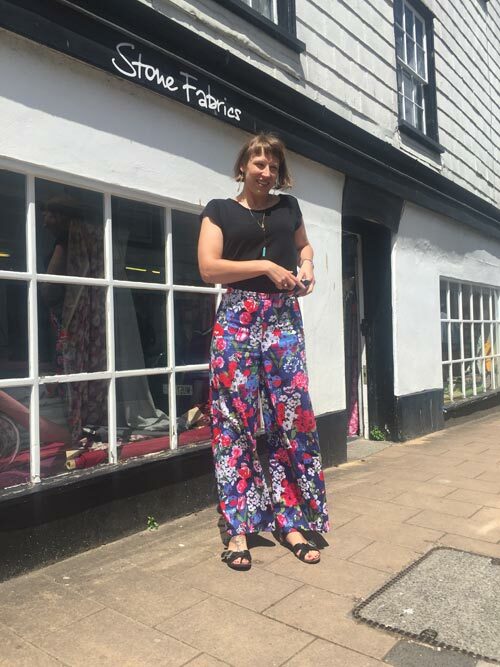 Aiste is showing off her fabulous wide leg trousers made up in floral print stretch cotton sateen using Burda vintage (re-published) pattern #6966, she used the narrower of the two options. 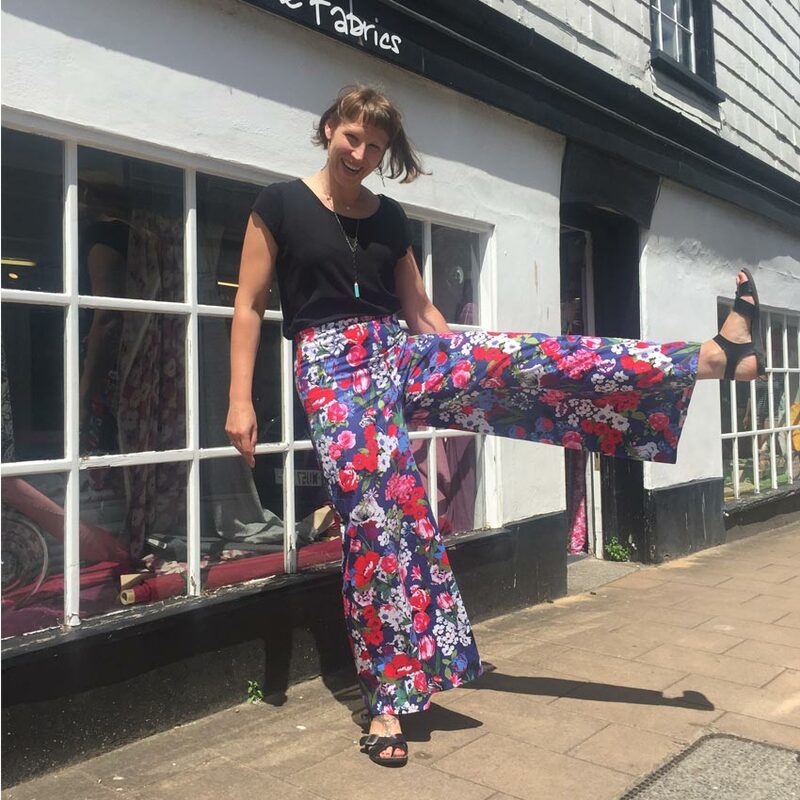 The fit of these trousers is fantastic -partly due to the elastane content of the fabric but also because, for some reason, Burda trouser patterns are cut better than others (in our humble opinion). 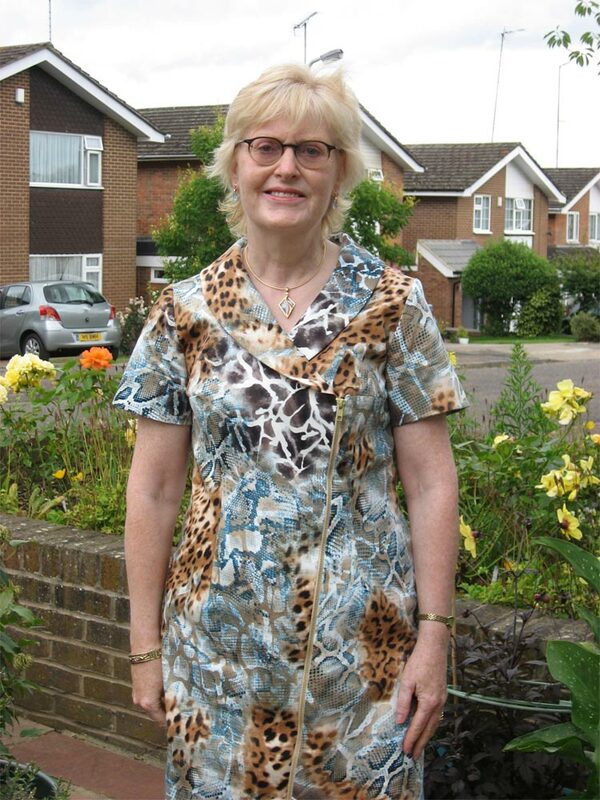 Marion wearing her lovely blue and yellow geometric print stretch cotton sateen shift dress made and designed by Dawn Hooper of Hardy and Hooper (Maidenhead). 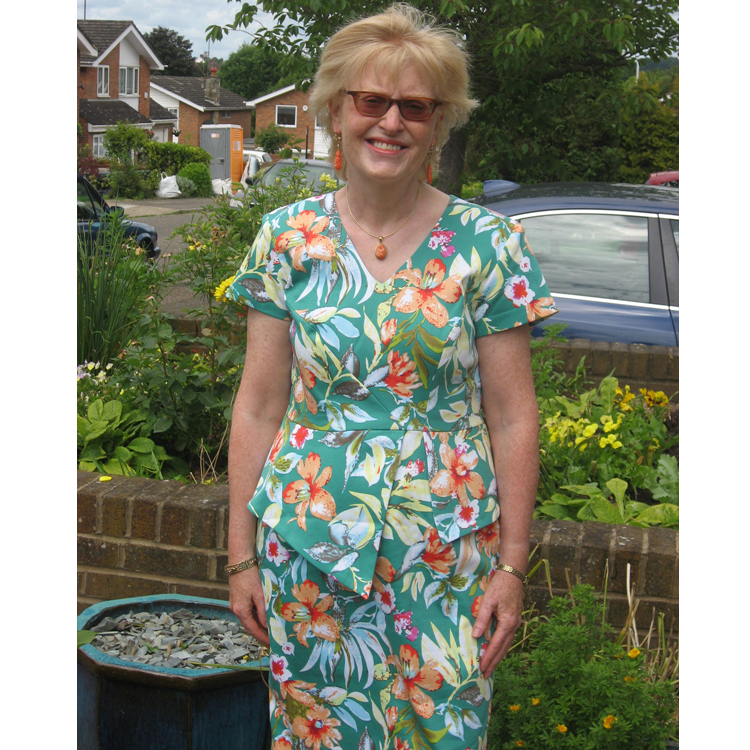 Marion blending in nicely at the nursery with her orange and green floral print stretch cotton sateen dress with fabulous peplum detailing, made and designed by Dawn Hooper of Hardy and Hooper (Maidenhead). 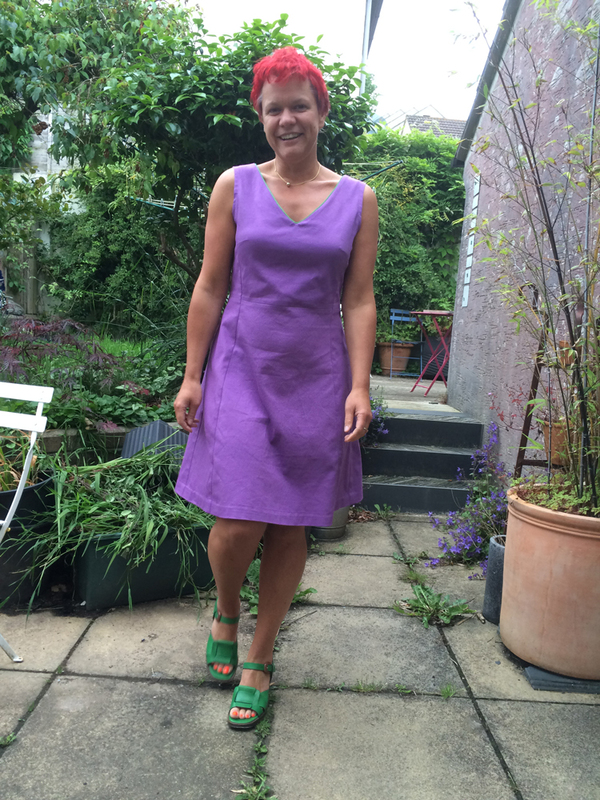 Lulu in her vintage 1970’s dress made in stretch denim with a lime green wash. Accented with patch pockets, the dress is unlined and has bias binding around the armholes/neck. 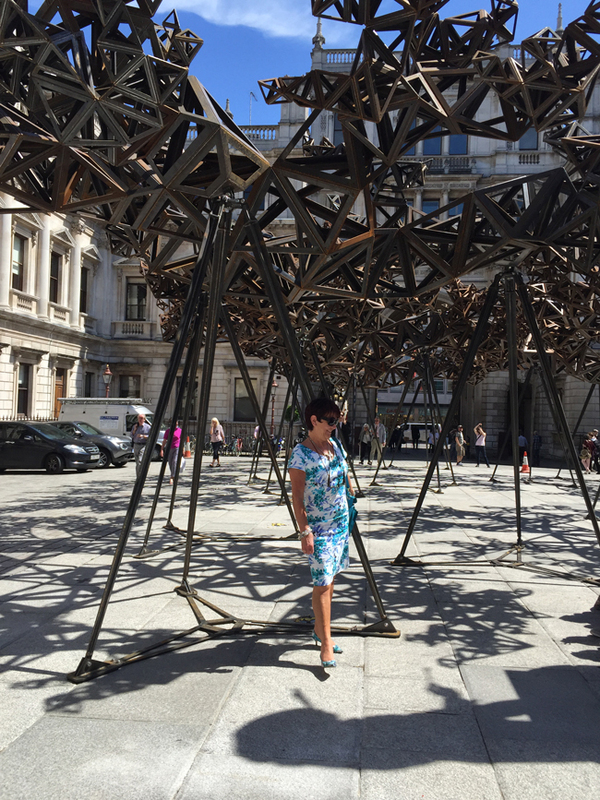 She made this maybe… 15 years ago? 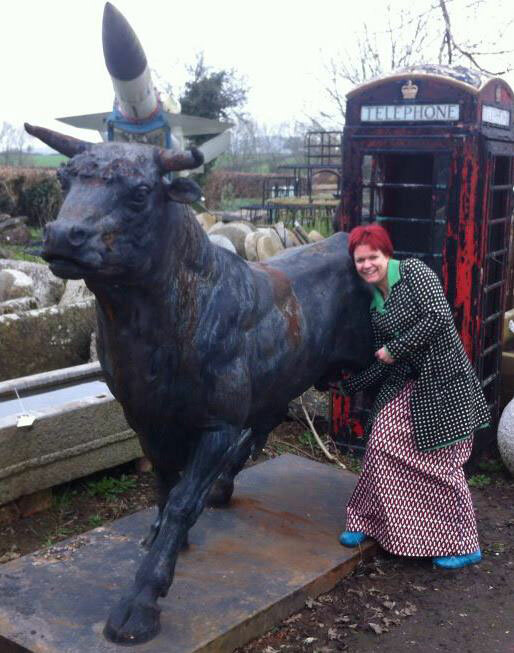 So doubly vintage then! Dresses in fabrics like classic denim that fit well will never go out of style. 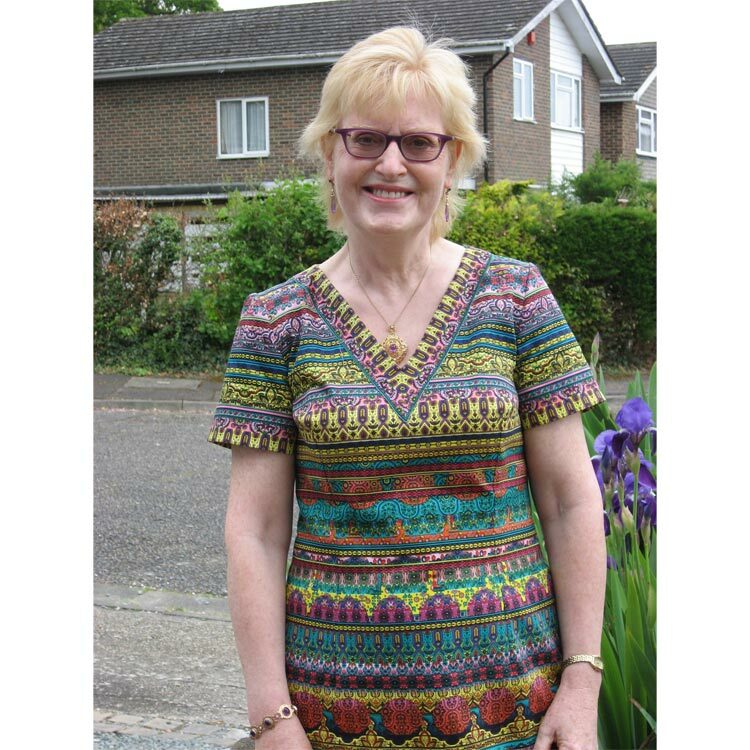 Bess was looking at this purple piqué for well over a year before she decided she was able to wear purple, and is rather loving the extra colour in her wardrobe. 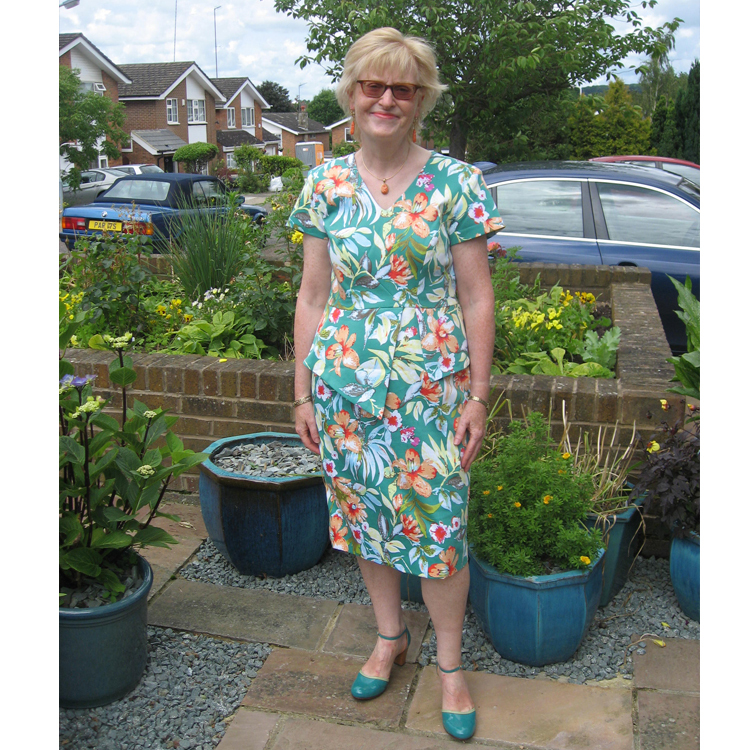 The pattern is a long tried and tested pattern she took from a Jaeger dress (seen here in many guises). 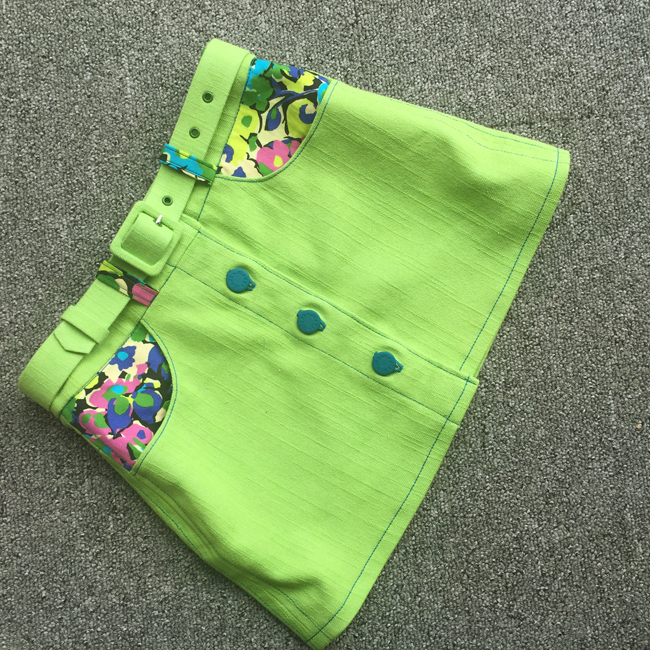 This time it is unlined and piped in green satin around the neck and has green bias binding inside the hem (just in case anyone should look inside. 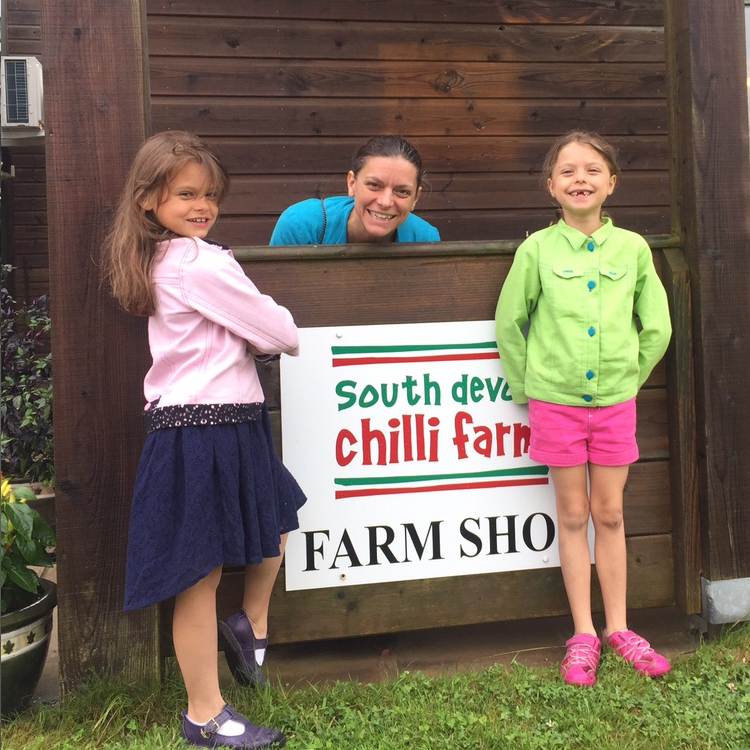 Despite the close fit no zip is necessary – she just wiggles in. 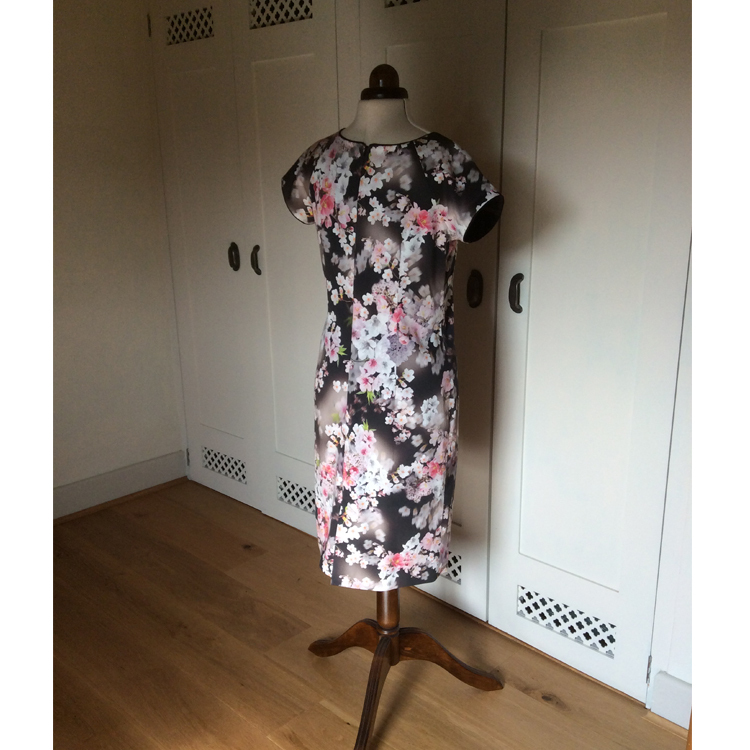 Shirley made this fabulous 3d printed stretch cotton sateen up into a shift dress, it is lined in Venezia lining and the neck and armholes are piped very thinly in black. 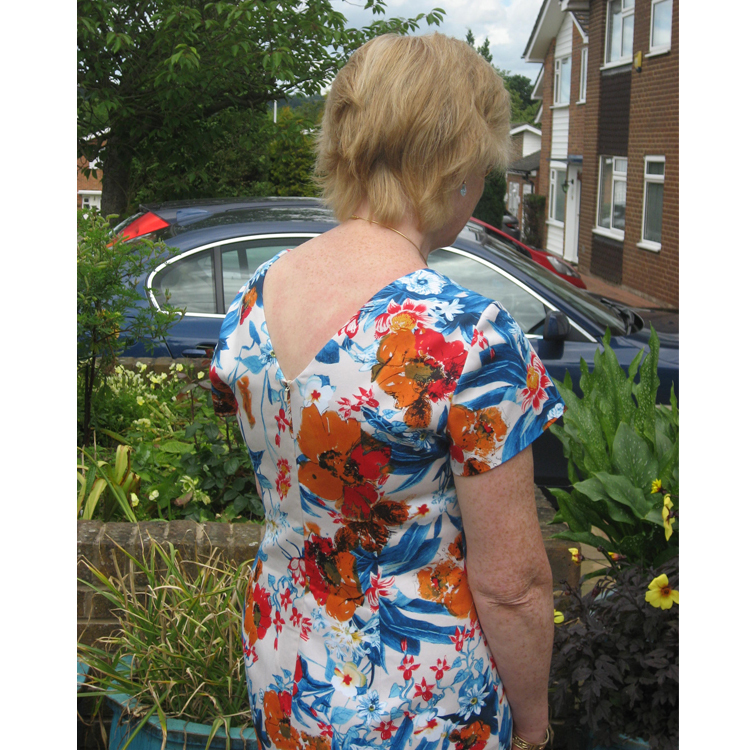 Marion wearing her fabulous orange and blue floral print stretch cotton sateen v-neck back dress. 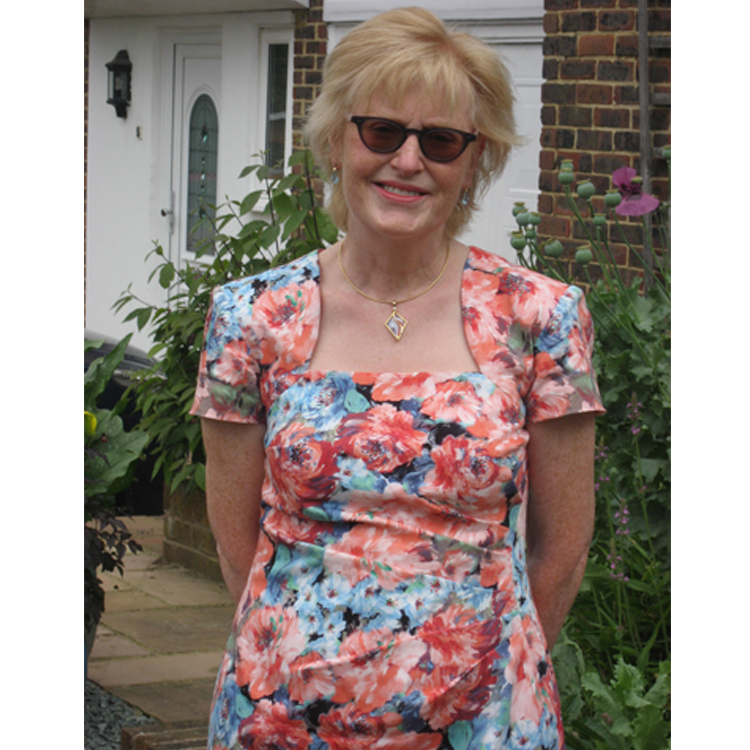 Designed and made for her by the genius Dawn Hooper of Hardy and Hooper (Maidenhead). 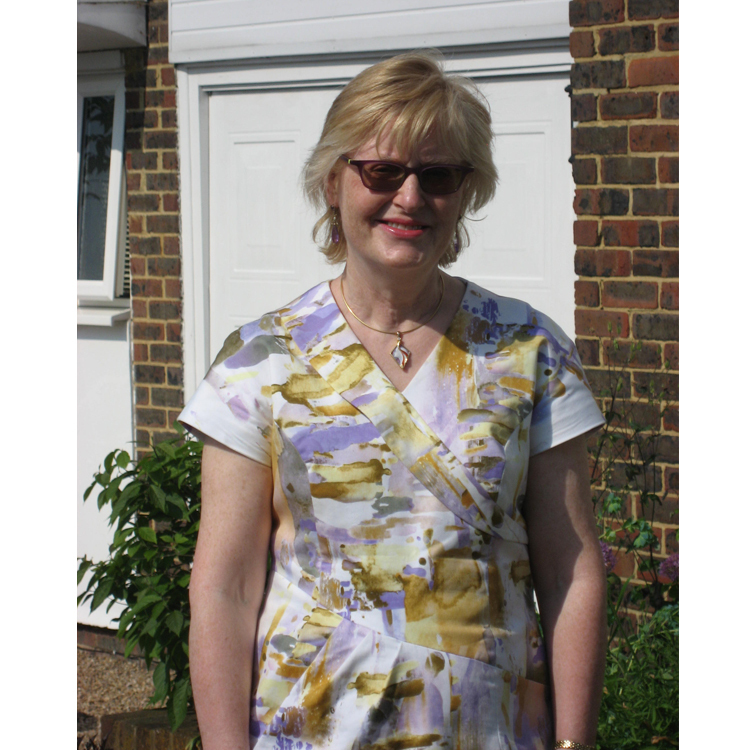 Marion wearing this superb mock wrap lilac and ochre print stretch cotton sateen dress. 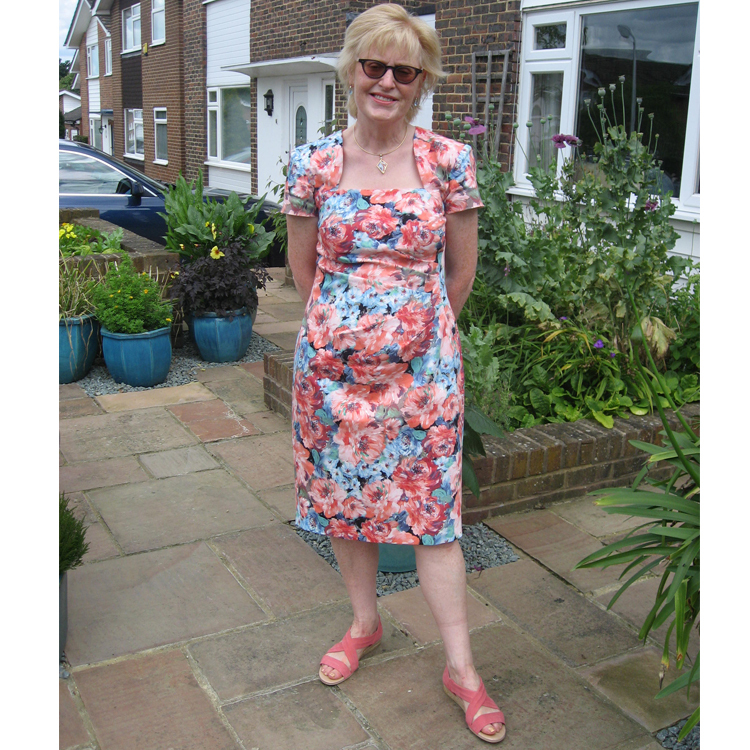 Designed and made for her by the genius Dawn Hooper of Hardy and Hooper (Maidenhead). 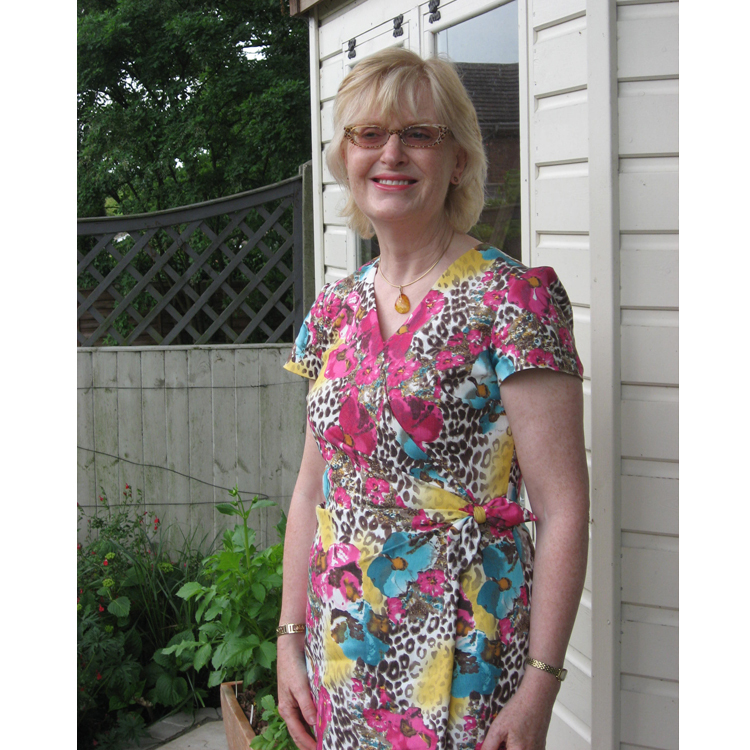 Marion wearing her jade and coral floral print stretch cotton sateen dress with v-neck and peplum detail. 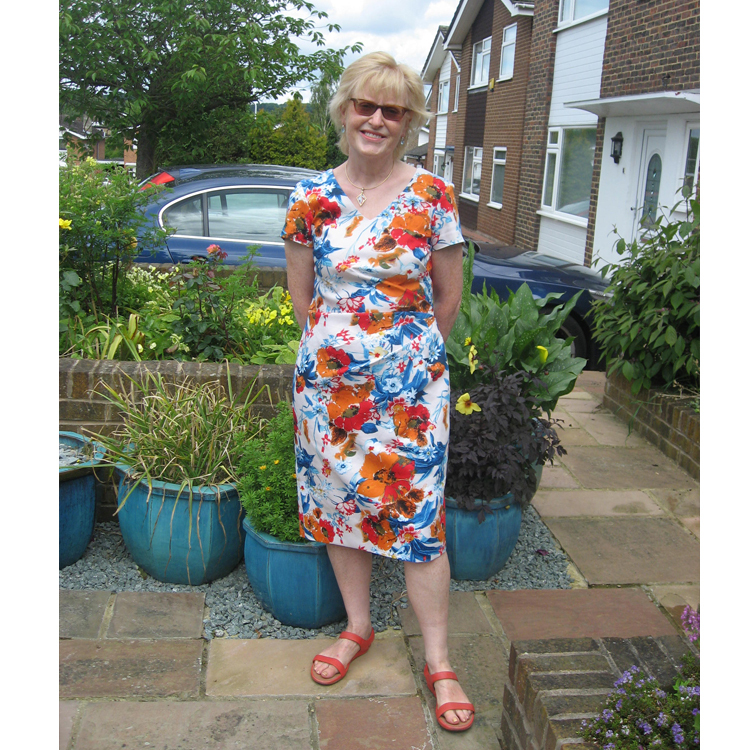 Designed and made for her by the genius Dawn Hooper of Hardy and Hooper (Maidenhead). 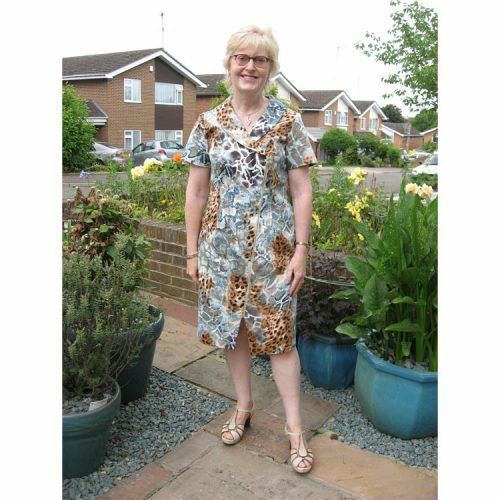 Marion wearing this superb floral and animal print stretchy cotton drill dress designed and made for her by the genius Dawn Hooper of Hardy and Hooper (Maidenhead). 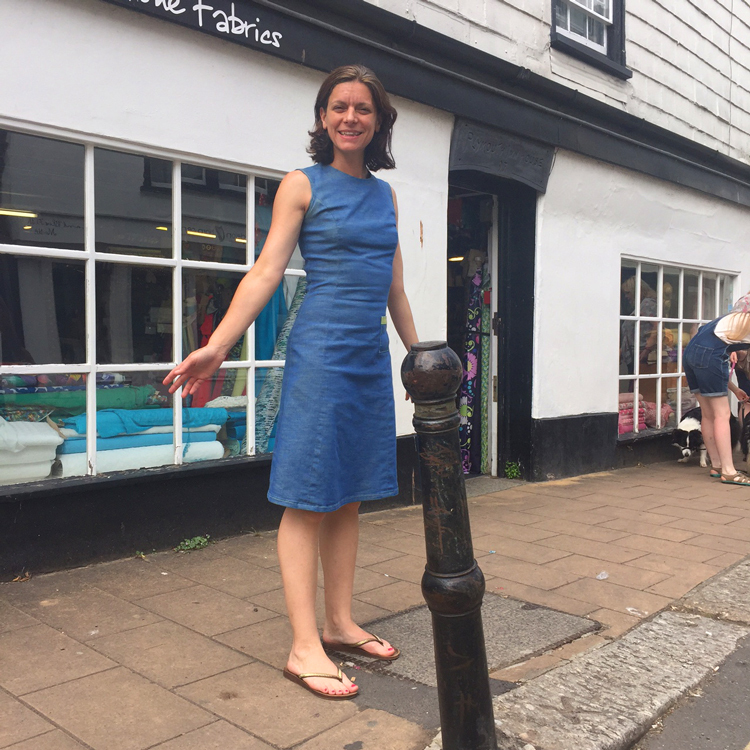 Marion sporting her coral and blue stretch cotton sateen dress, designed and made for her by the genius Dawn Hooper of Hardy and Hooper (Maidenhead). 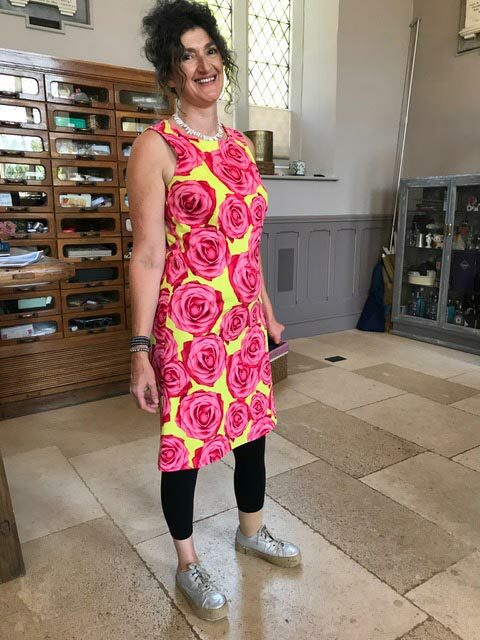 Celia looking stunning in her rose print stretch cotton sateen dress made using Burda pattern 6920 (slightly lengthened). 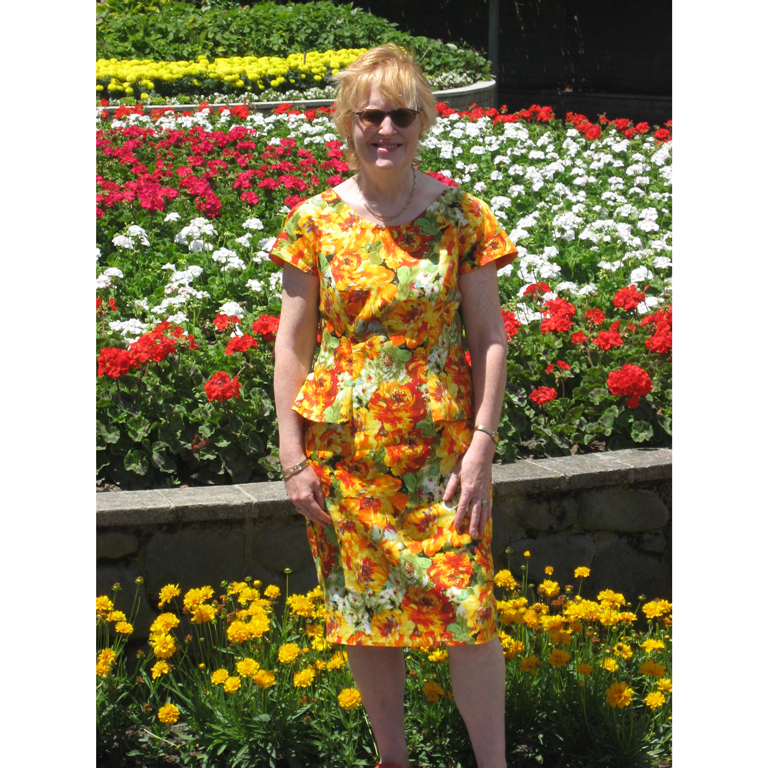 The dress is unlined as the fabric is already quite structured. 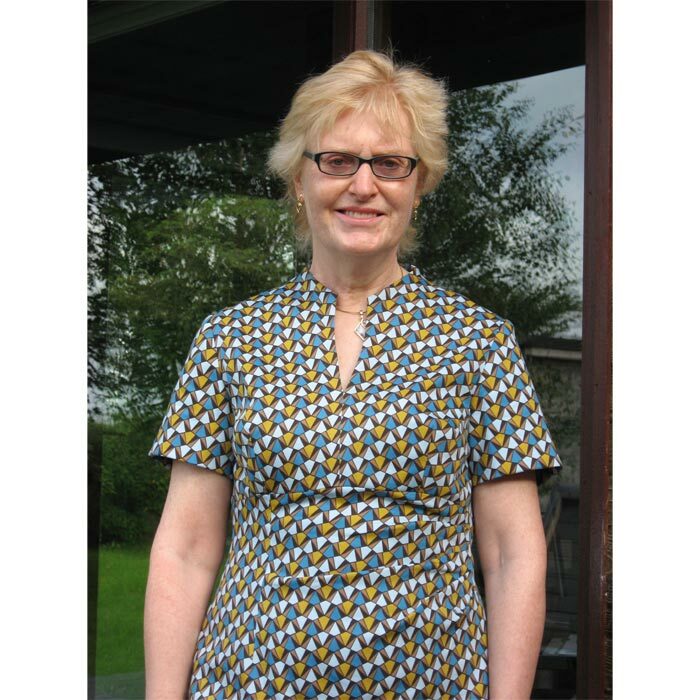 Celia loves these stretchy cotton prints, as they are so easy to make up and fit beautifully. 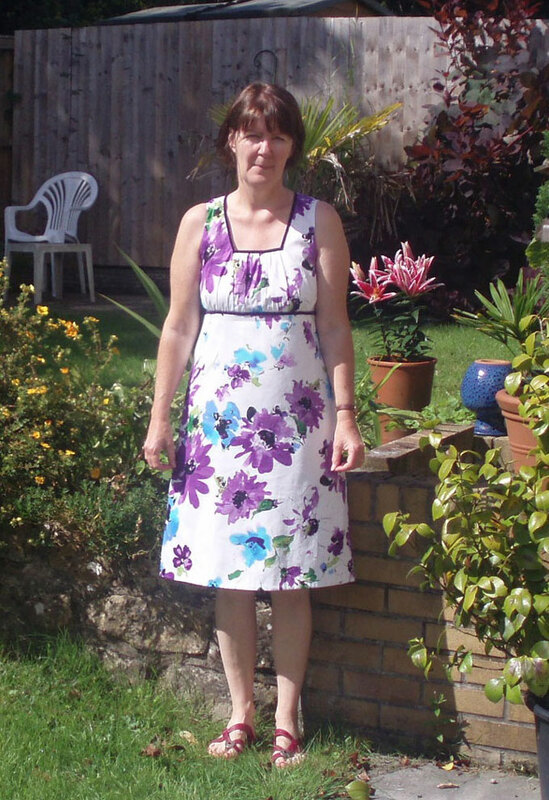 Tracey in French France wearing her fabulous 3D floral printed Stretch Cotton Sateen pleated skirt using McCall’s 6706, there is cotton lawn lining (pink, of course) and pink and black tulle underskirt. 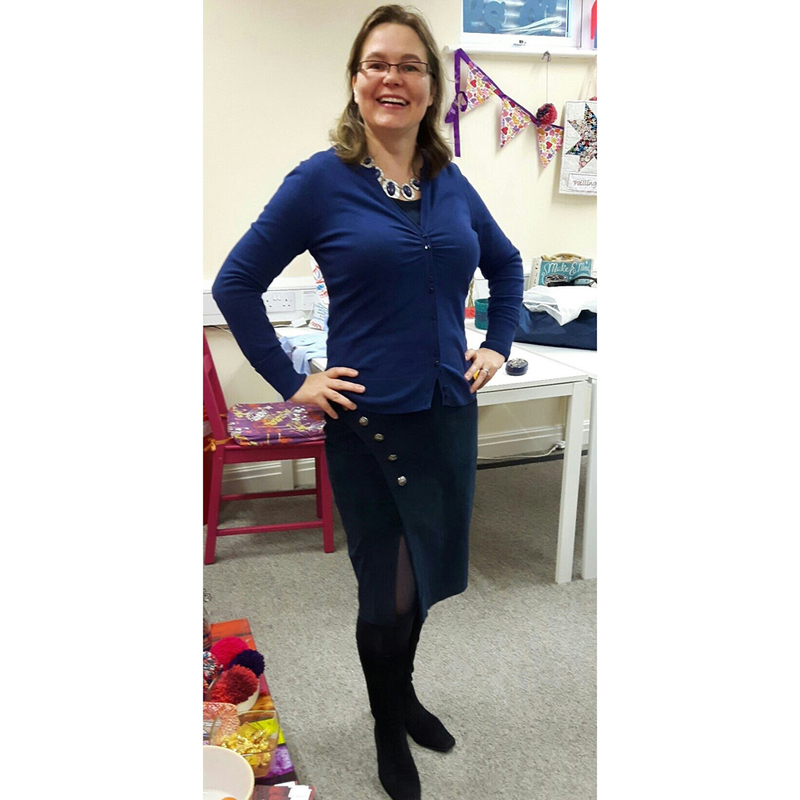 Daiga wearing her lovely navy stretch needlecord skirt made from the 9/2013 Burda Magazine model 103. 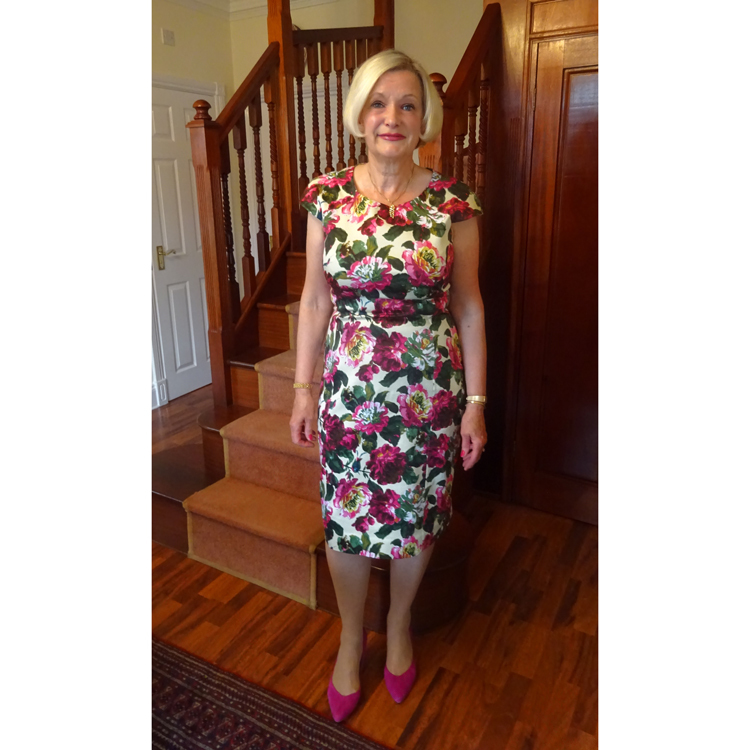 She said it was both lovely to work with and wear! 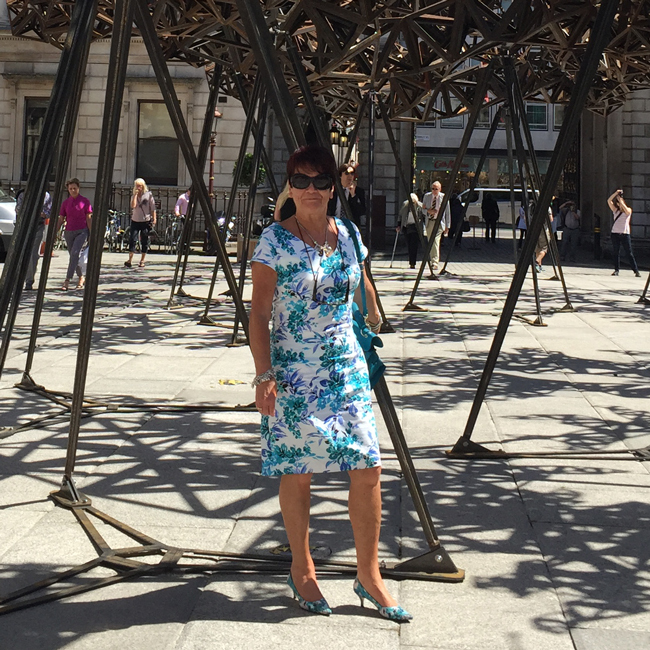 Jane at the Royal Academy Summer exhibition flaunting her floral stretch cotton sateen dress. The pattern comes from her block -which if you look at flat on the table looks absolutely barmy but fits her fabulously so don’t argue- Symmetrical, she is not! 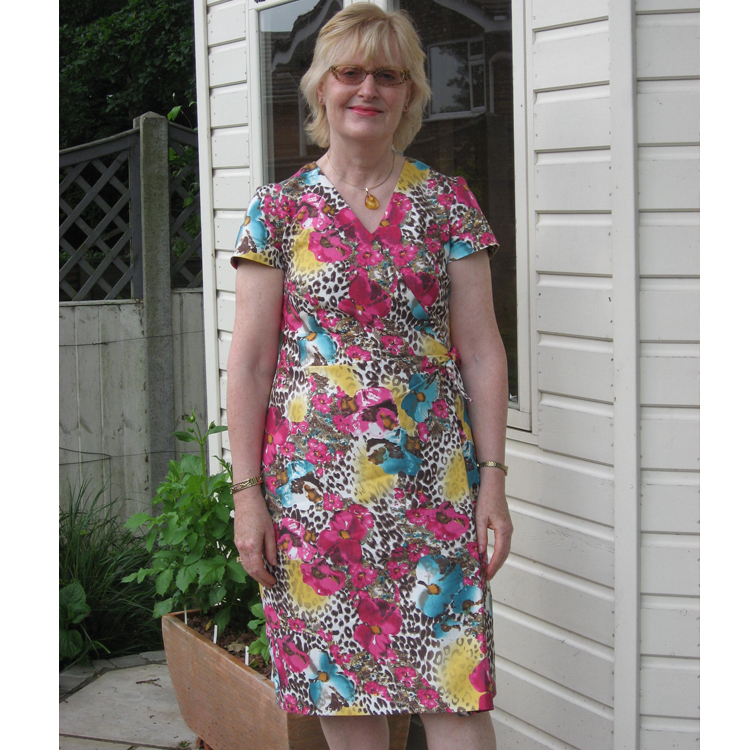 The dress is lined in Venezia and there is a concealed zip up the back. 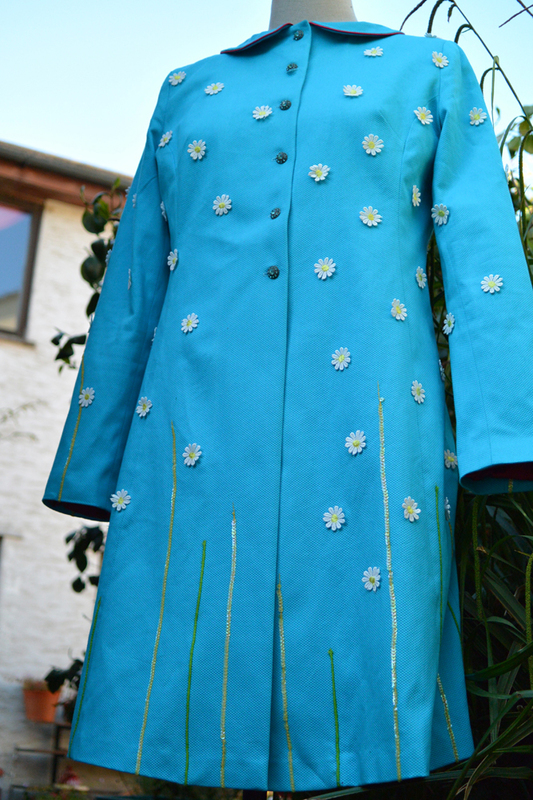 Bess made this turquoise cotton piqué coat for a wedding, wanting something very plain that would go with all her dresses. 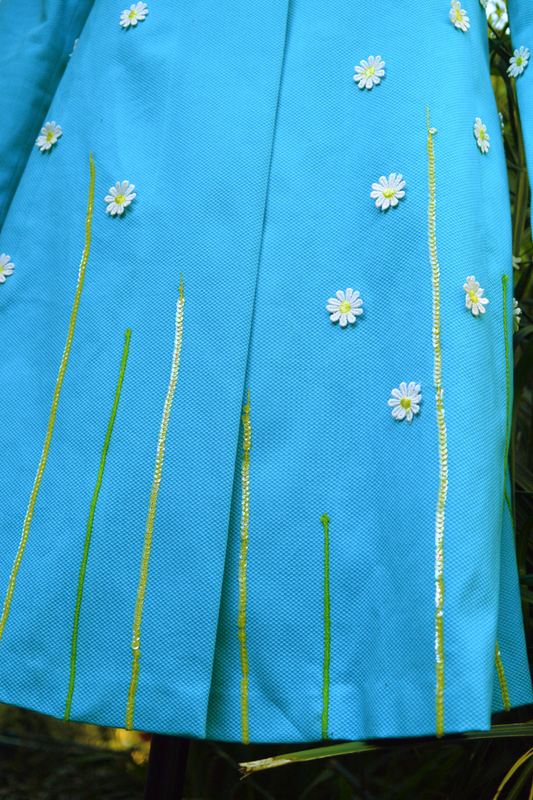 All the best laid plans and all that – Bess HATED it plain (felt like a doctor’s coat), so cut up some daisy trim and sewed them all over, and couched some yellow vintage strung sequins and green jute string as grass. Bess is not ruling out the possibility that there won’t be more flowers and insects added at a later date. 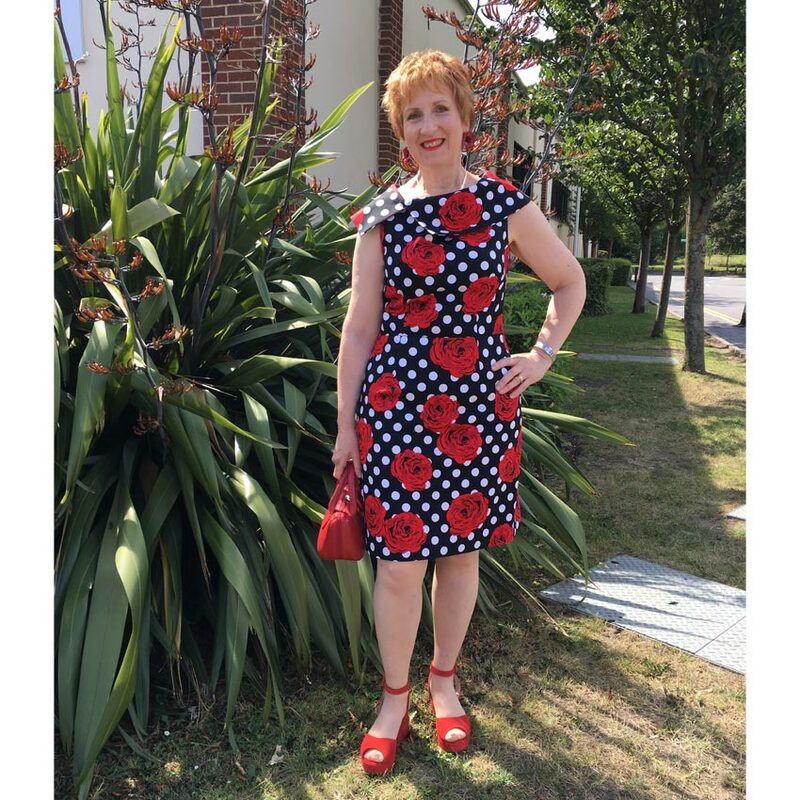 The Peter Pan collar is accented with red satin (ready made) piping and the same piping is used between the printed cotton lawn lining and the front facings. 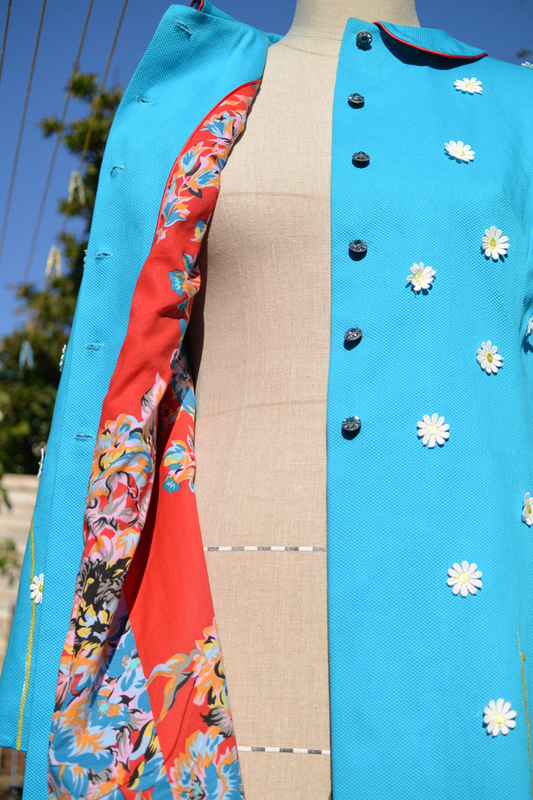 The sleeves are lined in red Venezia as they are fairly slim and need to slip. 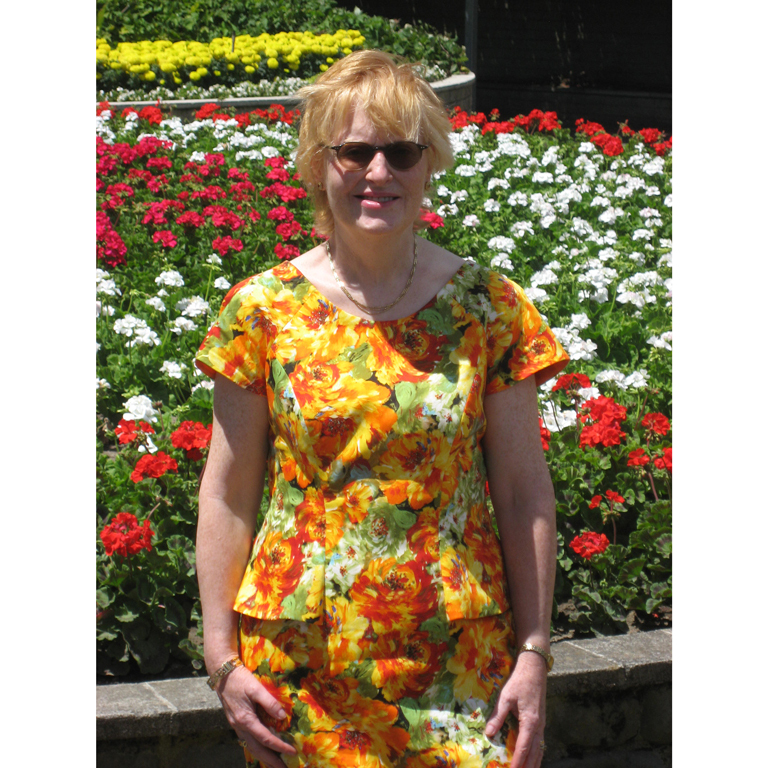 The pattern is a Vintage burda pattern no. 7041, it makes up beautifully with hardly any alterations. 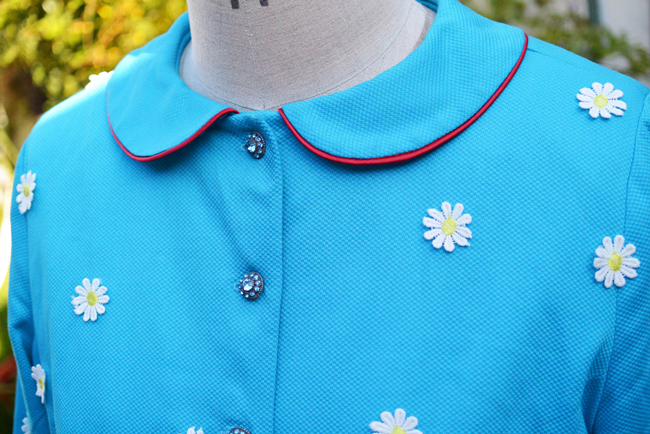 Finally the buttons were added, these buttons were the originals intended for the plain jacket but Bess was determined to use them, whether they go or not. 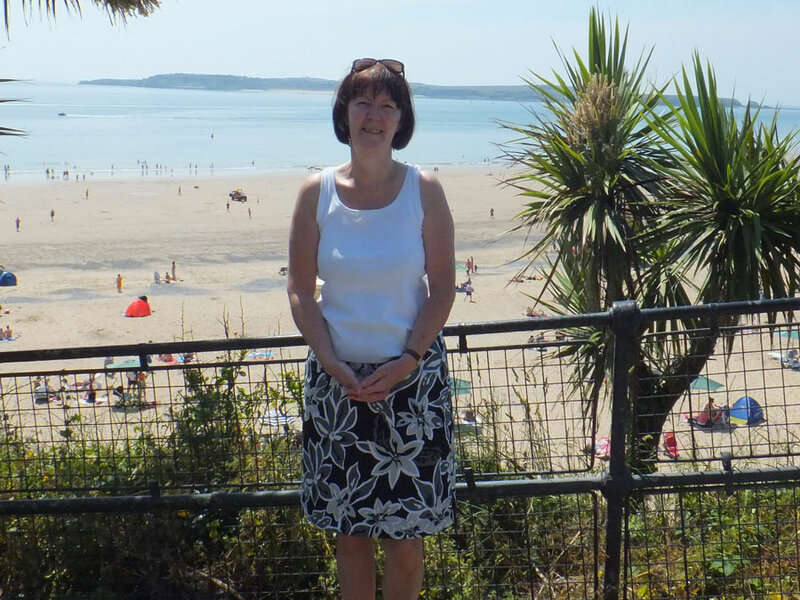 (I think she gets away with it – just). She loves them. Every girl needs a bit of bling. 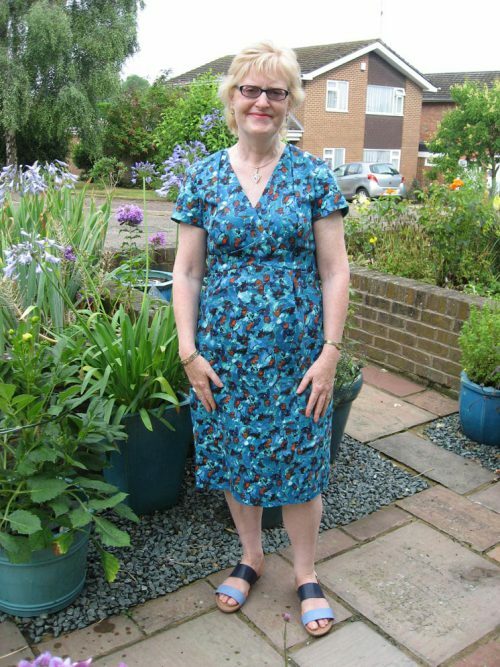 Gill from classes wearing her floral stretch cotton dress. 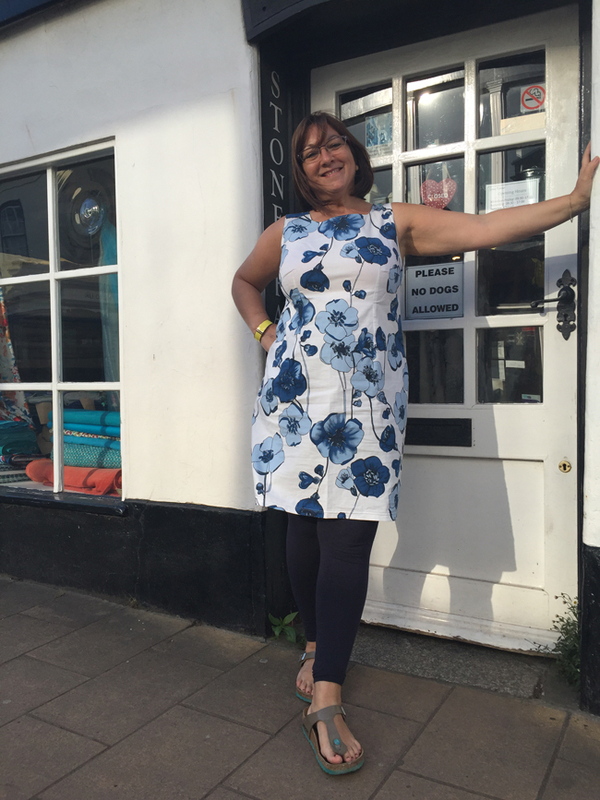 This stretch cotton is not quite as heavy as a stretch cotton sateen so it was deemed necessary to line it, she used Venezia because this dress was made for holidays in sunnier climes. 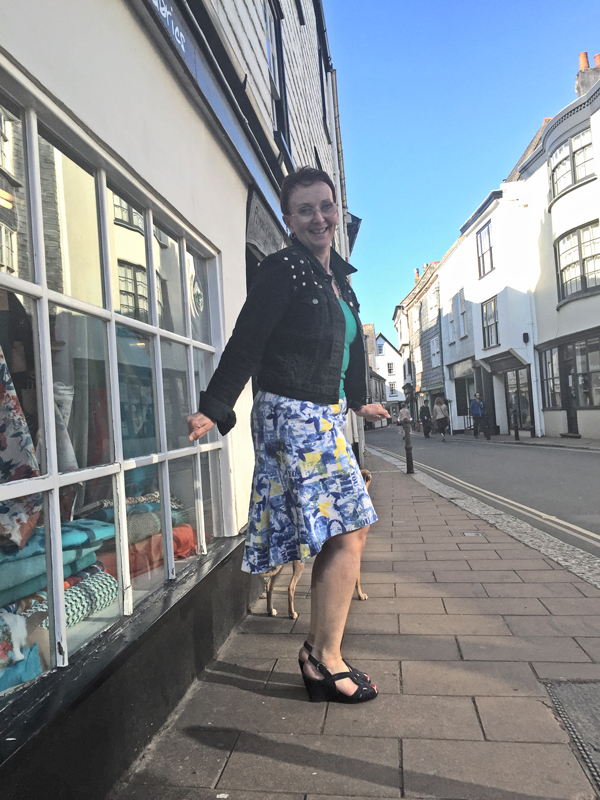 Rachel wearing her blue digital print skirt with a fluted lowered hem at the back, this skirt works in both soft drapey fabrics as well as this stiffer cotton drill. 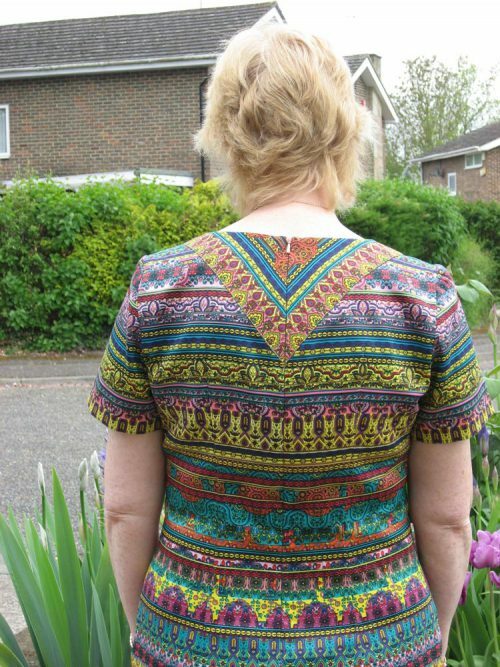 The pattern is a Bellville Sassoon for Vogue, now discontinued but you might find it on the world wide interweb, V1296. 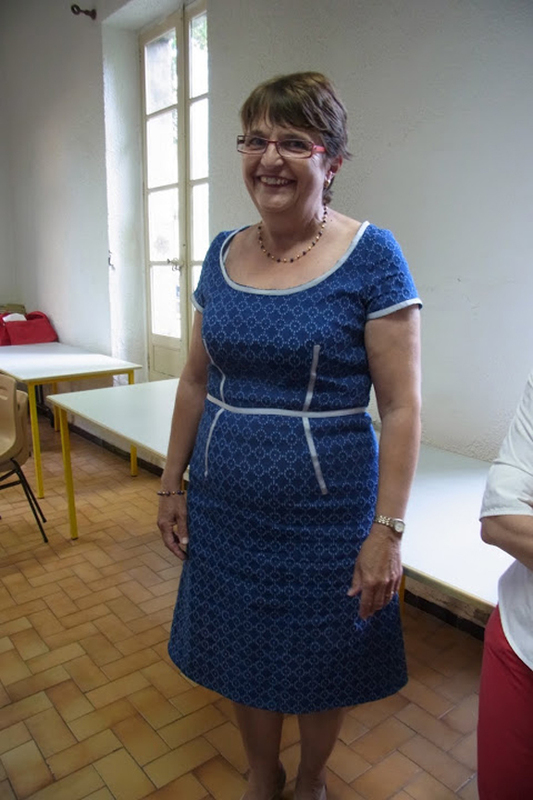 Stretch denim laser cut dress with seam detailing made by Martine at her French sewing class. 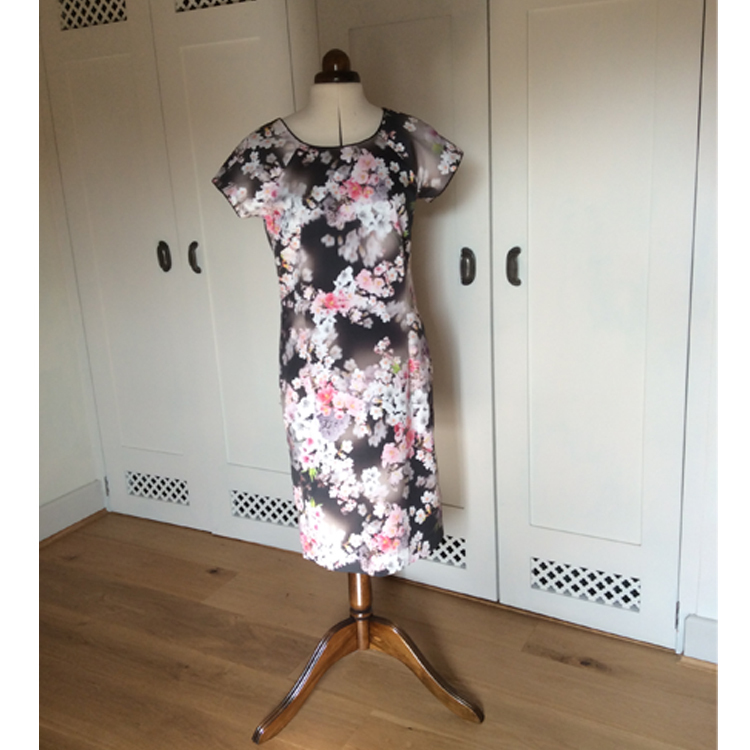 Black and white stretch cotton sateen floral printed skirt made by Pamela. 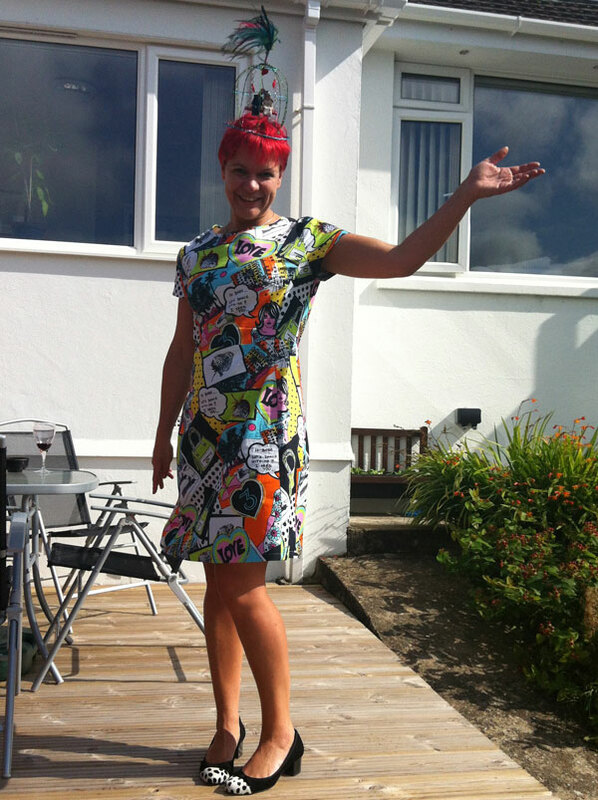 Bess wearing her panelled pop-art print stretch cotton sateen lined dress, complete with the fimo wedding couple wire framed ‘hat’. 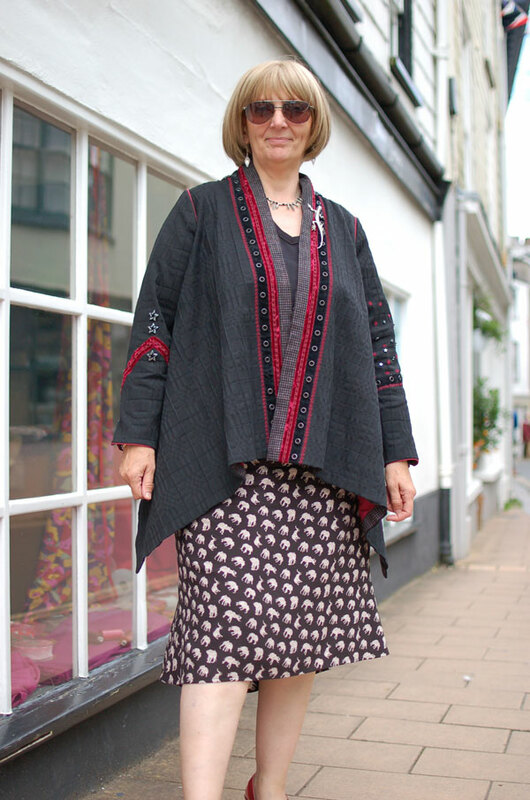 Rachel wearing stretch cotton jacket with embossed squares, eyelet tape and various trims, and elephant printed floppy viscose panelled skirt. 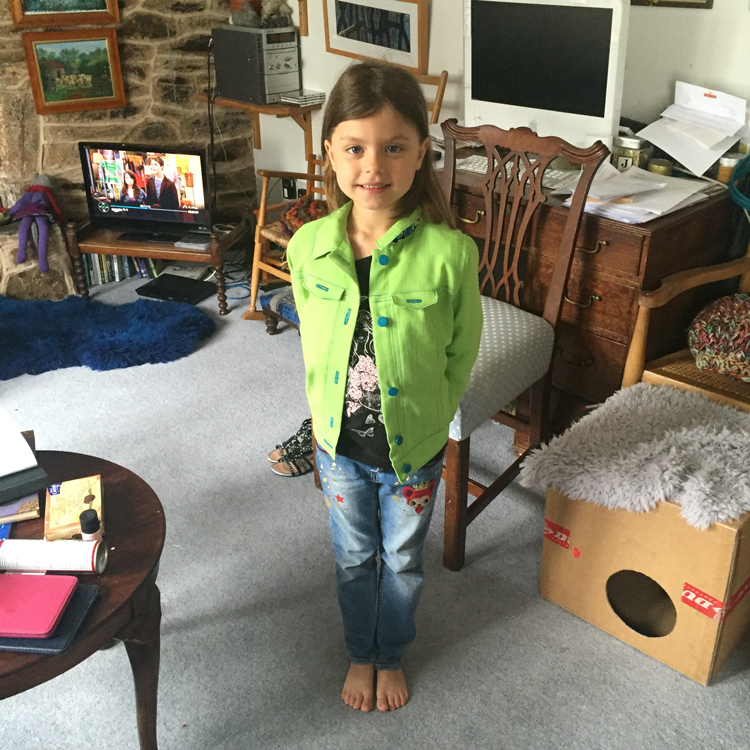 Bess wearing reversible coat made years and years ago using grosgrain polkadot and green Laurent Garigue worsted wool. 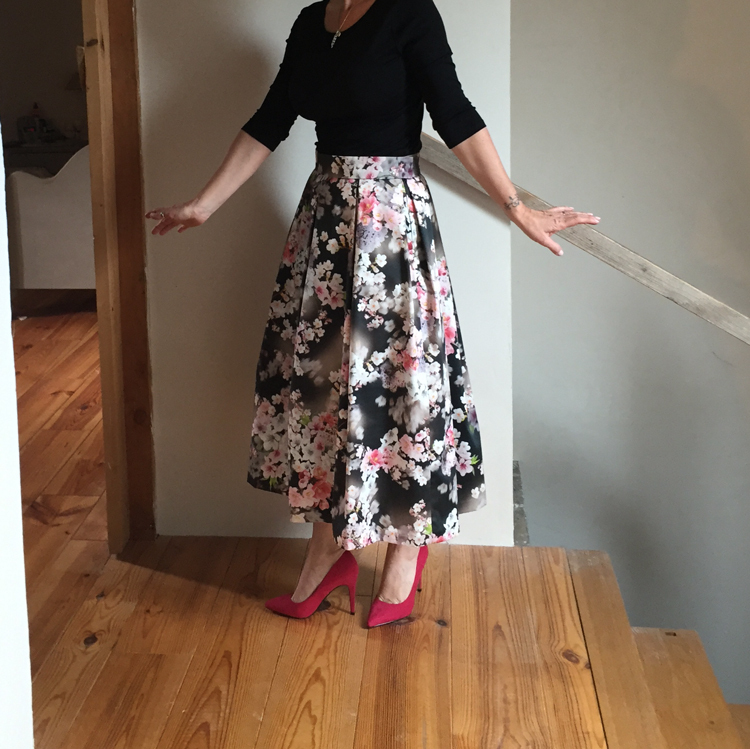 Also wearing a long a-line skirt using a Donna Karan Vogue pattern. 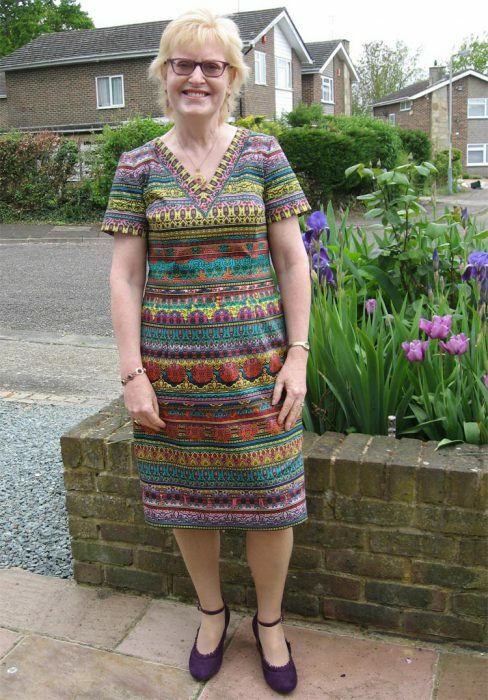 Pam from the Cloth Club wearing her printed stretch cotton sateen dress with velvet trim. 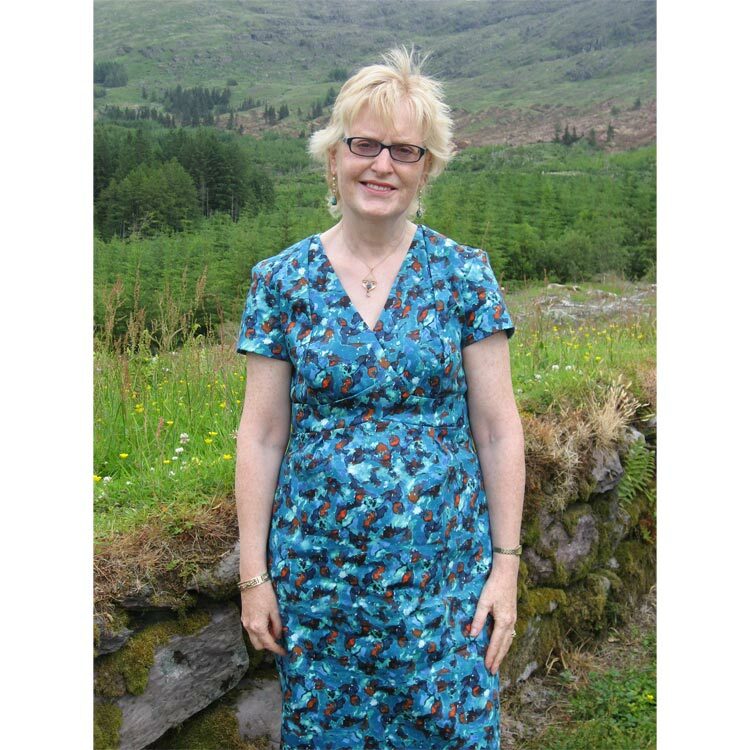 Malin wearing her camel pinafore dress made with stretch cotton and viscose trousering.